On my first day of working as a sales rep, I got these words from my senior as the golden words “Be thick-skinned.” However, after weeks of getting polite (and cruel) rejections from all the people I cold-called and cold-mailed, I realized that his advice was only to tease a naïve rookie. Lesson learned: being thick-skinned doesn’t help, and don’t believe in seniors’ words 100% (they love teasing!). After weeks being wasted and my devastated pride, I finally realized what went wrong with my prospecting stage. I chose the wrong targets. There are numerous big fish in the ocean, but it was unfortunate that I threw my net in wrong places. Actually, the recipe for successful prospecting is not that complex. It can be summed up in three phrases: right target, right time, and right approach. 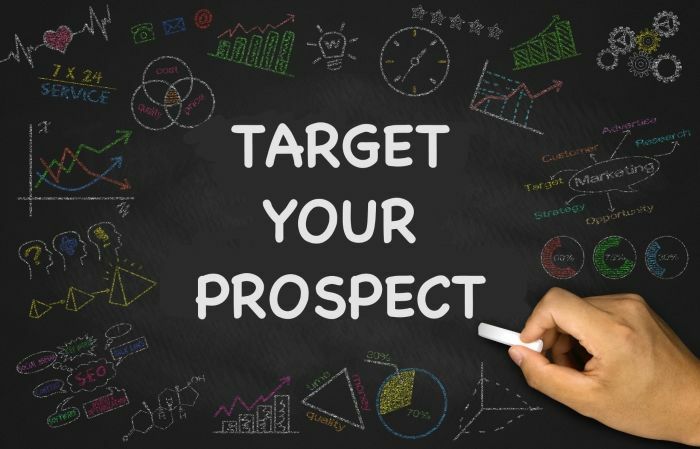 Here are some tips for you to get the right beginning in the prospecting stage: define the right target. Defining the right target is crucial to determine the percent of your victory in the prospecting game. However, before getting to the target, you need to know well about your business first. Know thyself, know your target, know your enemy. To do so, analyze your products/ services to objectively define the positions of your products/ services. You need to consider the prices, the complexity of your solutions, and the reputation of your company etc. Surely, as sales professionals, we all love products. But customers are not born to love our products. They are born to look at our products with critical eyes. After understanding your products, you determine the types of industries or companies have the common challenges that your business can provide clear-cut solutions. These companies are your primary target markets. Why? They have problems, and they would definitely love to hear about any solutions that can help them resolve problems. They are the ones that are most likely to listen to your phone calls, or continue reading your emails. They are the easiest target groups to be turned to prospects, and to be your customers. Moreover, you have to consider the size of organizations that you’re going to prospect. Some companies may be too small to afford your prices, while others are too big to consider your solutions unless you offer advanced solutions. Therefore, you have to determine the size of the organizations that is most likely to match your business. This second filter will help you build a better list of targets. A good list of targets will help you save loads of time and increase chances of winning. After creating a good list, don’t forget about the key contacts of your targeted companies. Within a target, there is a target. You have to choose the right person to approach. Search for the decision maker in your target company, or the person closest to the decision maker. Once you find the key contact, don’t forget to run research on that person before reaching him/her.